I’m feeling stuck…again. My weight this week was exactly the same as last week. That was a little deflating but I’ll take that over having a gain. I’m going to have to be more consistent about hitting the gym and eat way more veggies and a few less carbs. This weekend, I posted a pic of me in my Mickey Mouse leggings. Two body shots in as many weeks? I’m feeling myself! I love them and felt like I look ok in them. It’s an extremely vulnerable place to be in for me, sharing myself. I find that in my vulnerability, there is strength. Luckily, I have an amazing support system which helps when I need a bit of shoring up. I got to visit my home town this weekend. I got to see my parents and our youngest daughter (She just turned 26 on 1/23). I miss them so much so it also makes me feel ‘full’ to see them and be around them. I also got to see cousins and countless others I have known my entire life who’ve become ‘family’. I’m glad we have our life in the the Tri-Cities and for all the ‘framily’ (friends that are like family) we’ve gained over the past 12yrs but there’s no place like home. I’m off to another adventure until next week. This was not my best week. I gained 3lbs. i’m not particularly stressed about it but I know I can do better. I think its a combo of late-night eating and more carbs than usual. Plus, this last week wa pretty sedentary. In other words, I need to do better. No other changes to report at this time. Happy Friday!!! Those that are keeping track realize that I skipped last week. I got busy and I just forgot. I have set myself a reminder on my calendar so hopefully, that will help me remember. I am one of those people who has to write everything down. People say I come across as very organized but truth is, I’m a bit of a scatter brain. Alright, enough about me; let’s talk about me. Last week (9/16/16), I had a gain of +2lbs. I was a little bummed but I know that I ate a few things that I shouldn’t have so I completely expected it. We fall down but we get up, Right? This week’s weigh-in showed the results of a week where I did all that I was supposed to do and I am down -8lbs!! Woohoo!! For those trying to do the math and keep track, I am now down -54lbs and it feels AMAZING!! I’m down 4 dress sizes. I’ve had to buy new jeans but otherwise, I am still wearing my same wardrobe; everything just fits better. Last weekend was very active so I didn’t focus on any planned exercise. Friday, we went to a concert at the Washington State Fair (Puyallup Fair-for the locals). It was Joe and Charlie & Wilson and the show was absolutely AMAZING!! Before the show, we spent lots of time walking around the fair and seeing the sites and sampling some food and beverages. We didn’t go too crazy and although I really wanted to, I did not have the elephant ear. Saturday, we decided to spend some time just laying around at the hotel. We don’t get much time together during the week except for an hour in the morning when she’s getting in from work and I am getting ready to leave for work. Then, that evening we went to a Mariner’s game that we won tix to. We had great seats out center field about 20 rows back. Anyone who has been to a professional sporting event knows that walking from the parking structure and navigating the stadium to get to your seats is a good bit of walking and moving and I did it without pain and without getting too winded (non-scale victory).We got up Sunday and after a light breakfast, we headed home. I have to say that I love how much energy I have now and how much easier it is for me to get up and get moving. Not to mention that I am much more willing to get up and do things now because it doesn’t cause me pain, fatigue and embarrassment like it used to. This journey is hard but is proving to be worth it every day. So, I have to tell you that making the commitment to step on the scale 1x weekly on the same day and about the same time of day each week; no problem. Not being tempted to step on the scale every time I go to the bathroom? That’s a different story. I was strong though and waited until this morning. For those keeping track, I am down -9.6lbs since surgery day (7/29). Woohoo!!! I had my 1-week follow-up with Dr. Fox (the surgeon) yesterday and I am doing really well. My wounds are healing beautifully. I am taking my meds as I should and am doing well with getting my nutrition. I did express to him my concern about not having enough intake. I explained that I am so concerned about nausea and vomiting from being over full that I am afraid to ‘eat’. He let me know that my concerns were valid and gave me some tips and tools for getting the protein shakes down. I am feeling good!! Next week, I should be able to start a light workout routine. I’ll probably start with walking. I bought myself a book to get me through the day-to-day because I know this won’t always be easy. It is a book that starts on Jan 1st and ends Dec 31st. I decided that instead of starting on the first day of the year, I started yesterday; the day I received the book. There are daily action and journaling points. 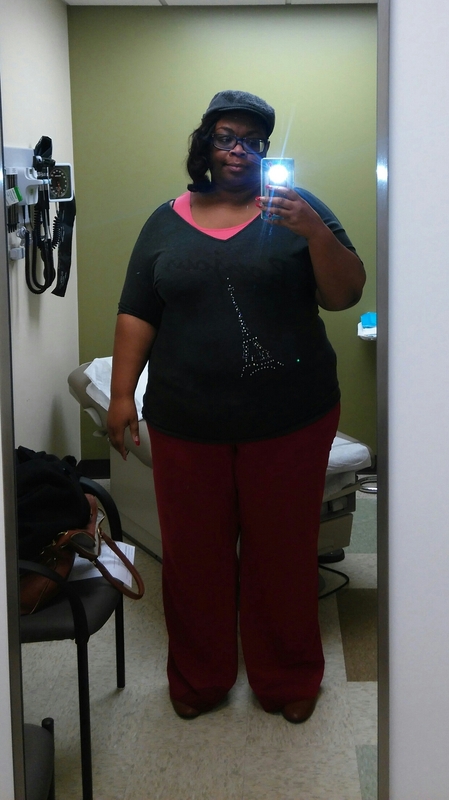 I want to immerse myself in this whole weight loss surgery (WLS) process. I know that I have healing to do; physically, emotionally and spiritually, as I change my relationship with food and myself as my body changes so I a taking advantage of any tools I come across. See you for next week’s weigh-in! 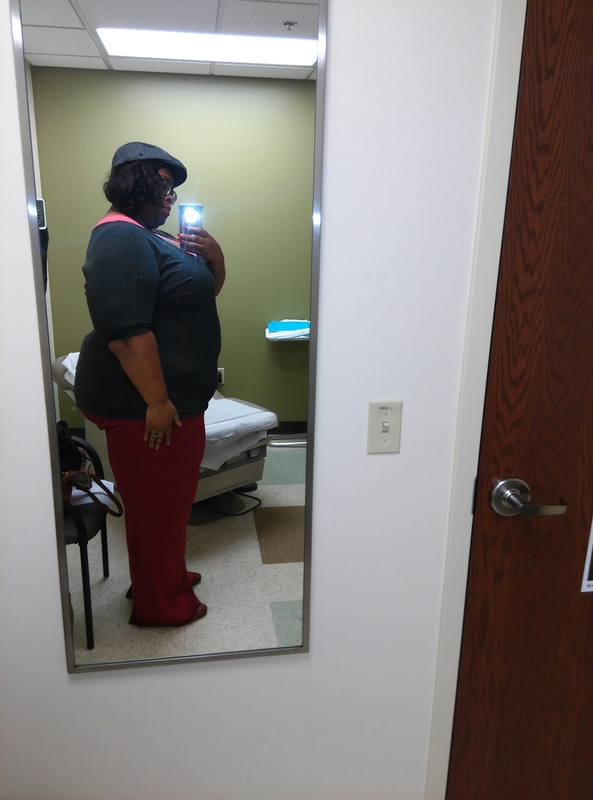 I was supposed to have my first set of appointments for my weight loss surgery journey. Unfortunately, that was thwarted by issues with insurance. I was disappointed but not discouraged so I rescheduled and got on the docs and the insurance to make sure all the ducks were in a row for my appointments. At the nutritionist, we discussed my cholesterol (which isn’t an issue but we need a diagnosis for me to see the nutritionist – apparently obesity is not enough) and then, we talked about my diet. We went over a day in the eating life of JaVonna. After that, we discussed exercise; which didn’t take long because I do little to none. We discussed and created an eating plan, what a day should look like, using a carbohydrate counting method to try to decrease my carb intake and increase my fruits, vegetables and proteins. A serving of carbs equals about 15g. We set a goal of 1-2 carb servings per meal and no more than 1 serving of carbs for snacks. We also set an exercise goal of 2 days/ week for at least 30 minutes. With my PCP (primary care physician), we discussed my most recent labs. They were good except for my TSH (thyroid numbers). What they are? 15%. What she would like them at? .4%. I had to admit that I have not been taking my meds consistently. She sternly made sure I was aware that I am aware that until my thyroid numbers are under control, my weight issues won’t be under control. Good to know! I’ve got my appointments scheduled for next month and I’m on the road to a healthier me. 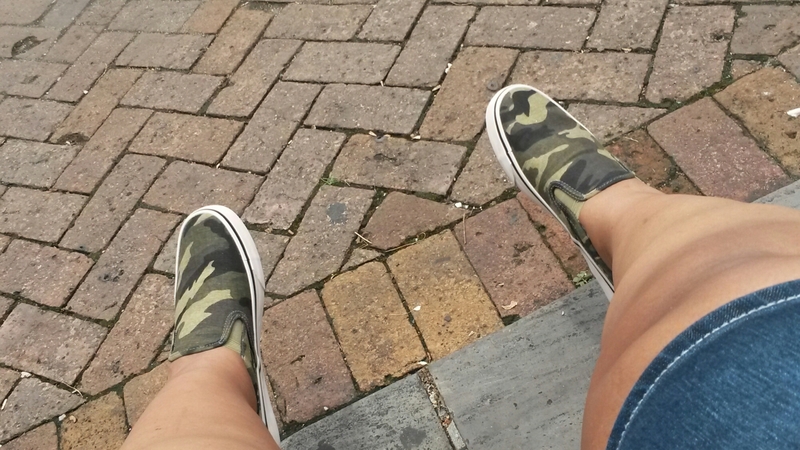 Thank God for a comfy pair of walking shoes. I feel like we walked the whole French Quarter.